Play Steam Tower for real! Although I had no clue what to expect from the steampunk genre, I definitely became a fan of this genre after Steam Tower Touch® came out. Steam Tower Touch® is packed with innovative developments and progressive slot features that NetEnt are renowned for, but I honestly think it is the combination of this innovation and the steampunk theme that makes Steam Tower Touch® highly recommended. The Victorian era is synonymous with advancement and improvement, which totally reflects NetEnt’s mission to drive the online and mobile casino market forward. I am so excited about Steam Tower Touch®, I just don’t know where to start describing this amazing NetEnt Touch® game. But let’s start at the beginning, the theme attached to this mobile slot game, which is steampunk. This theme hasn’t been used before for any mobile slot, which makes it a rather original slot theme. For movies on the other hand the steampunk genre has been used often, and if not familiar with the genre, I’m sure some bells will start ringing when calling out movie names such as Wild Wild West (1999), The Time Machine (2002), and The Prestige (2006). A while ago, when the genre wasn’t as popular as it is nowadays, steampunk was known as “Victorian era science fiction”. But when more and more films and books involved the genre, also including recent films like Sherlock Holmes (2009) and Hugo (2011), it changed to steampunk. All of them they have one thing in common as they are set in a retro-futuristic society. In this society imaginative fantasy and anachronistic technology are often going hand in hand and pretty much anything can happen. The same of course goes for a steampunk video slot too, proved by NetEnt whit the development of Steam Tower Touch®. It is amazing to see what a special genre like steampunk can do for a mobile slot game like Steam Tower Touch®. First of all this theme lends itself perfectly for some amazing 3D graphics, as well as innovative slot feature. Both can be found in Steam Tower Touch®, a mobile slot added to the mobile casinos early 2015. It was by then I had no clue what steampunk was all about, but this mobile slot game learned me more about the theme and the possibilities the genre gives to a video slot, book or movie. Steampunk is often set in an alternate, futuristic version of 19th century Victorian England and the same goes for Steam Tower Touch® too. Steam Tower Touch® is a one-of-a-kind mobile slot taking you on a captivating journey while climbing a steam tower. Become a superhero and save the princess while using one of these typical inventions so well-known from the steampunk genre. Reach the top of the tower and receive a very lucrative Top Floor bonus plus a x7 Multiplier. An attractive theme and design isn’t all you get when playing Steam Tower Touch® as this mobile slot is offering a great combination of mobile slot features including a climb into the steam tower during Free Spins. 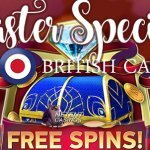 Stacked Wilds, Wilds, Free Spins and a Multiplier Meter have been used for one greater slot feature which I, to make it easier, call the Steam Tower™ slot feature. 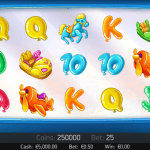 This slot feature deserves a name anyway, simply because it is a brilliant one, one you haven’t seen before in a mobile slot, amazingly put together by the talented software developers at NetEnt. It takes one or more Stacked Wilds to activate the Steam Tower™ slot as 10 Free Spins will be awarded, the start of a great slot adventure as the game ascends to the first floor of the steam tower with only 15 floors to go before reaching the Top Floor. 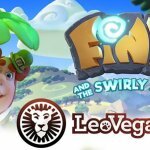 One or more Wilds which appears anywhere on the reels during free Spins increase the Free Spins by two and the game ascends to the next floor. Another great addition to this mobile slot feature is the Multiplier Meter which will climb up the higher you get in the steam tower. The Multiplier will be updated before each Free Spin and is dependent on which floor you are on. Reaching the top floor the Multiplier will show a maximum of x7 while a Top Floor Bonus of 1000 coins will be rewarded as well. Released early 2015, Steam Tower Touch® is bringing a special mobile slot with a special theme. This results in a levelled bonus game as well as marvellous 3D animations. 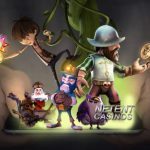 It’s not for nothing NetEnt received multiple iGaming awards during the past years, for both innovation and quality, while also being known as the pioneer in mobile casino gaming. 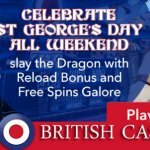 As almost all NetEnt Casinos do offer you a chance to play in their mobile casino too, you have a wide range of mobile casinos to choose from. Often the complete NetEnt Touch® suite is available in the mobile casinos which means you can also enjoy other brilliant mobile slots like Gonzo’s Quest Touch®, Aliens Touch®, South Park Reel Chaos Touch®, and The Invisible Man Touch®.